UK Minicab & Taxi Services. Very good and polite driver, very nice car as well, very good journey home! So what makes us different from other Taxi and Minicab companies? We could let you know that we are a leading taxi and minicab service facilitator, located in London and that we are able to service mostly all locations throughout the United Kingdom. We could also let you know that we have multiple decades of experience in the London taxi and minicab transfer industry and that we have assisted the transport of many, many happy customers. We could also say that our Prices are very, very competitive and we frequently have insider discounts and offers benefiting our registered users. But what really makes us different is that our service comes with a personal touch, we aim to make the process of you getting to go where you need to go simple, straight forward and stress free! Oh! Did we mention that a Meet and Greet service from all the airports in London is included with no additional charges for delayed or rescheduled flights. * Fares are approximate & will vary subject to the exact date, time and collection postal code. When you need to get to somewhere the last thing that you want to do is spend time completing forms and having to wait for email replies. We have at your disposal what we think is a very easy online booking system that gives you instant access to thousands of dynamic fares! Take a look at our User Reviews to see what passengers have said after booking their minicabs or taxi transfers though Totally Driven. 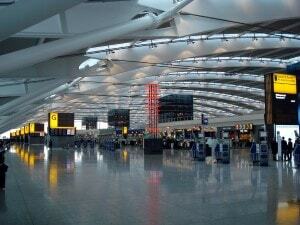 Looking for best rates for transfers to and from Heathrow airport? We don't just take a booking and forget about you. Reserve your transfer taxi ride through Totally Driven and expect around the clock support! +44 (0) 203 004 5033 who are available at the end of a phone 24/7. 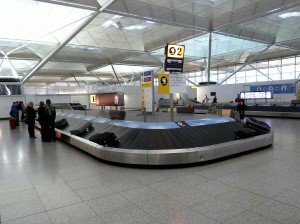 What is the best way to travel to & from Gatwick airport? For starters all transfers are facilitated by approved licensed operators in licensed private hire minicabs or taxis. Airports collections are inclusive of 30 minutes of waiting time. You can also request additional free waiting time when booking if you need more time to clear exit formalities at the airport. 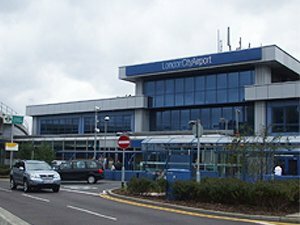 Flying from Luton airport and trying to figure out the best way to get there? Minicab or taxi transfers are instantaneously confirmed by email, followed with alerts, advance journey reminders and an alert to let you know the driver is on route. See the drivers ETA with our tracking facility. Flights are monitored which means there are no extra charges if your flight is delayed. Have you got a Discount Voucher? Enter it at the time of checkout and SAVE!!! More than just a local Minicab Company! Traveling in a larger group? Not a problem, adding multiple drop off's or pick up's on route to your destination is easily done via our simple and secure minicab taxi booking engine. The range of vehicles available allows you to reserve the best suited vehicle for passenger numbers and luggage. Traveling with little one's can be quite demanding at the best of times. Did you know that child seats are available on request but are subject to availability. Vehicles range from a standard Saloon car, to an Executive vehicle, a VIP vehicle, a Estate car, a MPV, MPV plus or a 8 Seater for larger groups, we can even provide coaches for the larger than average group. The price you see when you book is the price that you pay, no hidden charges. Skilled, knowledgeable, and polite drivers familiar with almost all major city routes backed up by today's GPS technology.